Kai En Teo, President of the Enactus team at National University of Singapore shares her experiences serving as the Global Goals Ambassadors for Global Goal 10, Reduced Inequalities, at Enactus World Cup 2017! 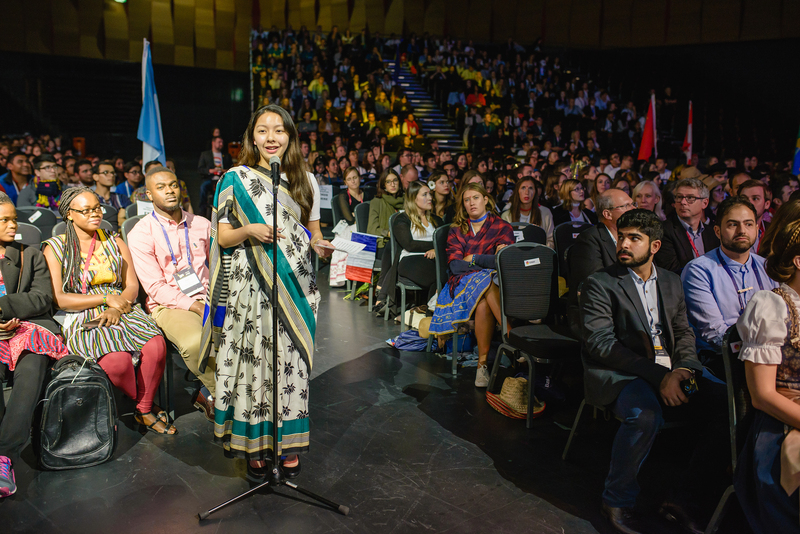 The Global Goals discussions were a highlight of the Enactus World Cup 2017, to raise awareness of, and drive conversation about the United Nations Sustainable Development Goals (SDGs). During the World Cup, I was honored to be selected as a Global Goals Ambassador representing Goal 10 on Reduced Inequalities. There were 15 other ambassadors of different nationalities for each of the respective goals. On the second day of the competition, all the ambassadors were involved in a Collaboration Session entitled Advancing the 2030 Global Goals through Entrepreneurial Action. During this session, we heard speakers from The Coca-Cola Company, CHEP/IFCO, Unilever and Enterprise Rent-A-Car share their insights on the Global Goals and the actions their companies are taking to achieve these goals. We also had a roundtable discussion with selected Enactus members who attended the session. I shared why I was passionate for the goal, and gained insight from the other Goals Ambassadors about their experiences and what made them passionate for the goal as well! After that, we participated in the Global Goals Forum, a discussion that took place on stage before the entire Enactus audience. The session was moderated by Lord Dr. Michael Hastings, Head of Global Citizenship for KPMG, who represented the 17th goal of Partnership for the Goals. I was extremely nervous before the session as it was my very first time standing before an international audience and speaking live on stage! Not only that, the spontaneity of the forum was something I was not confident about; I worried a lot about making a fool of myself in front of the audience! During the forum, we discussed the importance of pursuing the Global Goals, and shared insights on what was happening around the world or in our countries, that were related to the goals. The most amazing sharing was for Goal 5 on Gender Equality, as Saudi Arabia’s government had announced that females would be legally allowed to drive, just a day before the session! 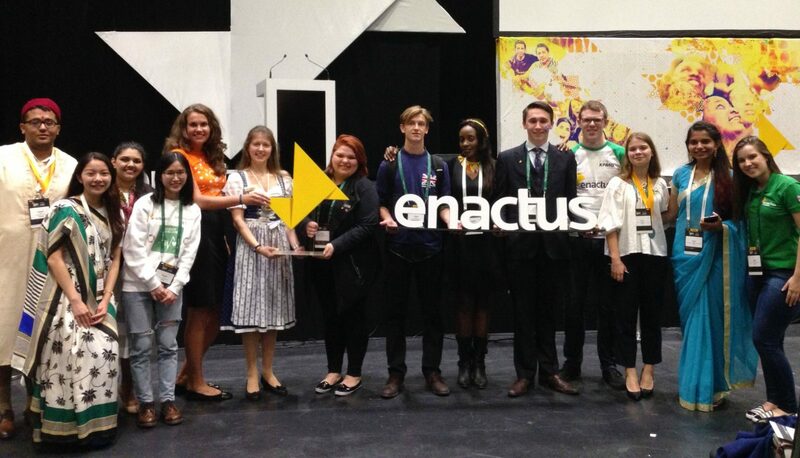 Serving as the Global Goals Ambassador was my greatest takeaway from the Enactus World Cup. I had the opportunity to befriend many like-minded Enactus students from different countries; sharing with each other about our cultures and passions really made for an enjoyable experience! This was also a once-in-a-lifetime opportunity for me to address an international audience, which I doubt I will get in the remaining years of my education. Most importantly, the Global Goals discussion was truly an eye-opener to learn more about what is happening around the world! Bringing this back to Singapore, I hope to share my learning with the Enactus community, particularly members piloting new projects. The Global Goals concept is useful in driving conversations on what more can be done to address issues, and would be a great starting point for project ideation. In fact, Enactus NUS held a session just last week with our new project teams, replicating the Global Goals Forum, to broaden their perspectives and awareness of issues around them. Moving forward, I hope to further spread the word about the Sustainable Development Goals within and outside of the Enactus community!